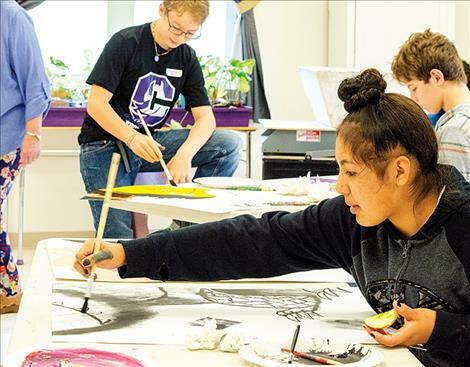 CHARLO – Kyle Finley, 13, dipped a paintbrush into a tray of black paint and used it to create her section of a cooperative group painting. 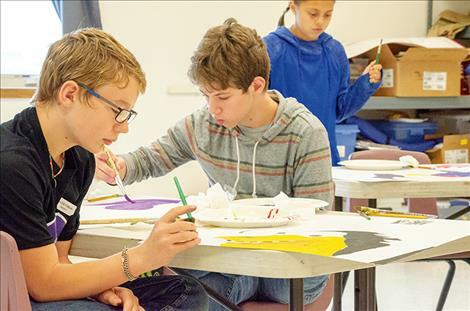 The project was completed at last week’s art camp hosted by the Ninepipe Arts Group and held at Charlo school. “It’s fun to get to do this and put my skills into action,” she said. 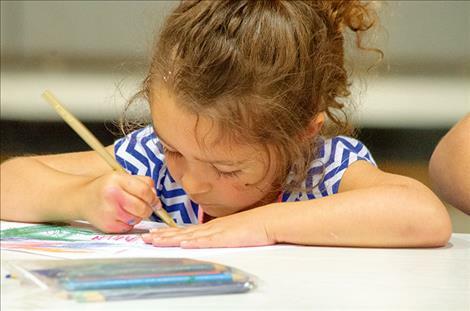 Finley loves art and was excited for the opportunity to learn new skills from volunteer artists at the camp. 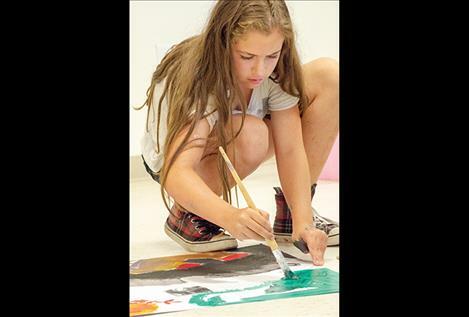 For about 15 years, volunteers have gotten together to organize the annual art camp for Mission Valley students in grades 1-12. 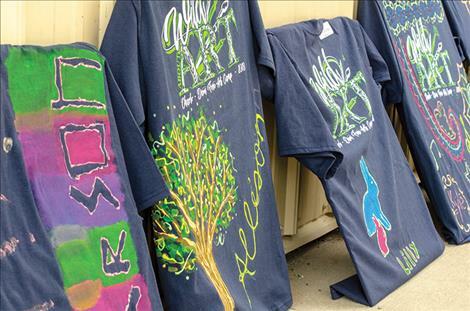 The camp allows participants to experience art of all kinds from costume making to painting. 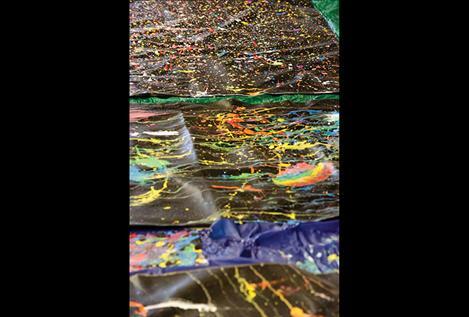 About a dozen older campers around the age of 13 participated in the creation of the cooperative painting without knowing the end result. 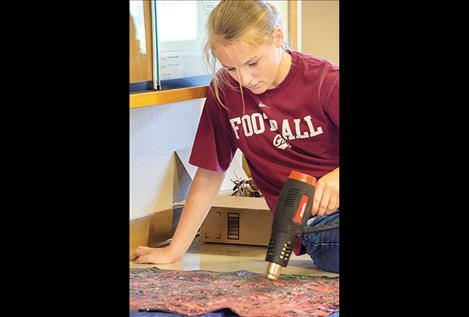 Artist and instructor Olivia Olsen said the project was like creating a puzzle with each student working on one piece. 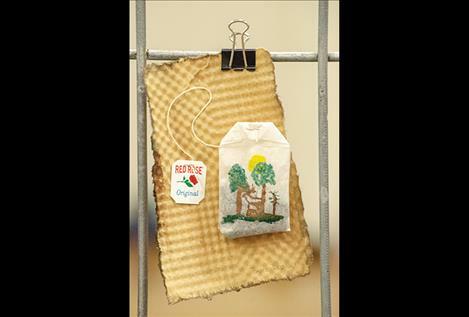 She added that it teaches kids to focus on the details. Olsen looked over the shoulder of one of the young artists. “I love this yellow you are doing,” she said. She walked to another canvas and complimented the way the student was dabbing the brush on the canvas to develop the impression of fur. 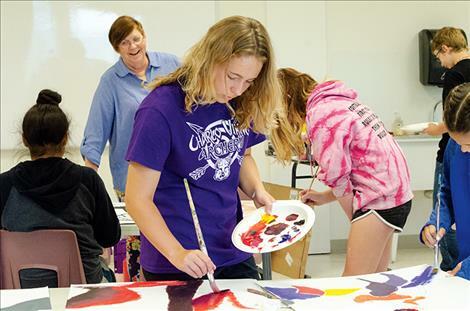 Once the individual paintings were dry, Olsen put them together to create a scene from the book “Where the Wild Things Are.” The finished painting was displayed at the art show held on the last day of camp where all students’ artwork was displayed. 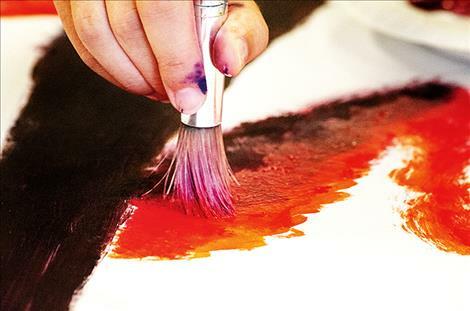 During the week, several other projects were also created including T-shirt paintings, small paintings using teabag canvases, and splatter art inspired by Jackson Pollack. 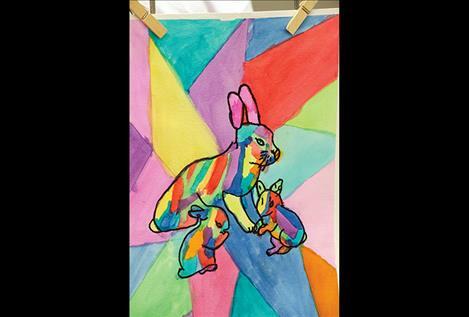 She wants children to have more opportunities to learn the many ways they can express themselves through different art media. 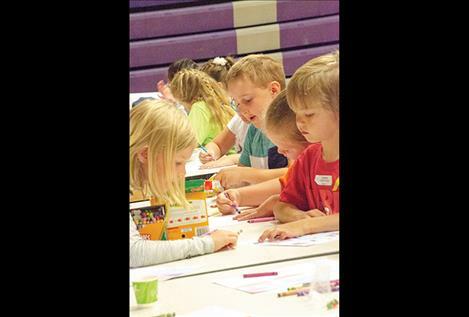 “We don’t have enough art in schools, and art gives a child a well rounded education, so we try and give them more,” Myhre said. 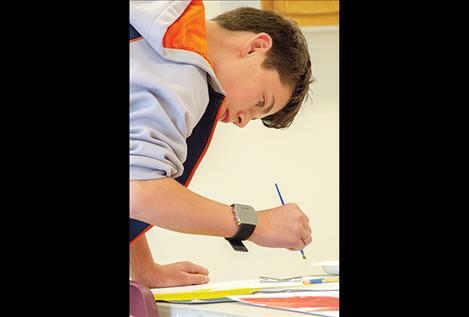 Gus Hertz, 12, signed up for art camp when he was old enough to join. He said he likes the camp so much that he would participate even if his mom wasn’t a volunteer. Kaitlin Cox is a senior in high school this year. She is another long-time participant and liked it so much that she decided to come back as a volunteer. On Thursday, she was using a hair dryer to get the paint to dry faster on a few projects so they would be ready for the final show. 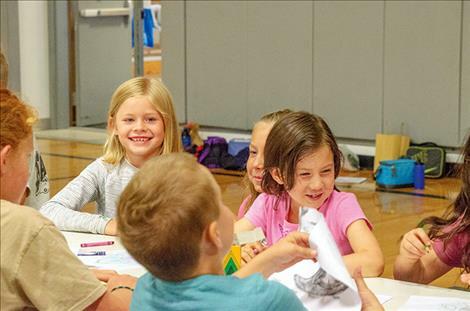 “It’s really fun to see how different each project comes out even when the kids are given the same instructions,” she said of their individual creativity.